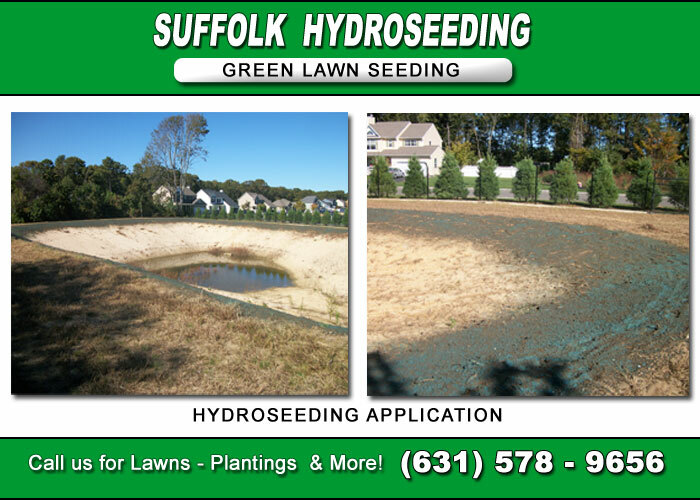 Looking for a Hydroseeding Company that services Hamptons Long Island? You Found One of the Best! An alternative manually planting Grass Seed with a Seed Spreader or applying Sod, Hydroseeding is a process of mixing water, seed, fertilizer and a protective mulch together in a Hydromulcher sprayer tank and then sprayed onto the ground. The process of spraying allows for seed to be applied in large areas at different angles. A Green texture is what is seen after the Hydroseeding Application is performed. The mix of fertilizer and mulch are mixed with the grass seed and stay moist with water supplying the seeding application with ample water for a full steady growth. 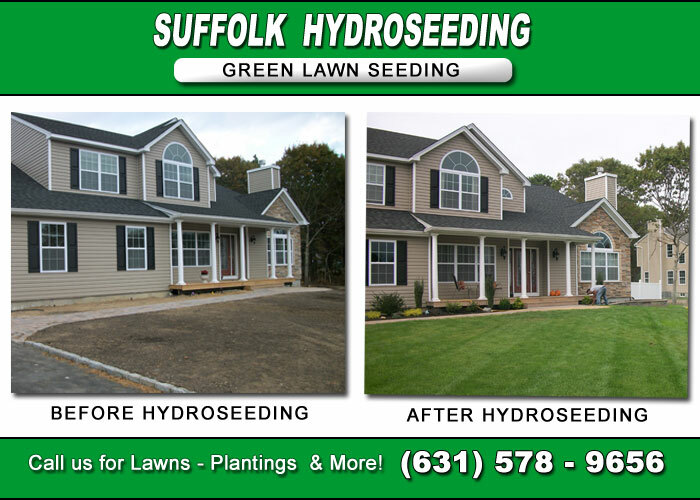 Hydroseeding is the perfect solution for large properties that require a new lawn. 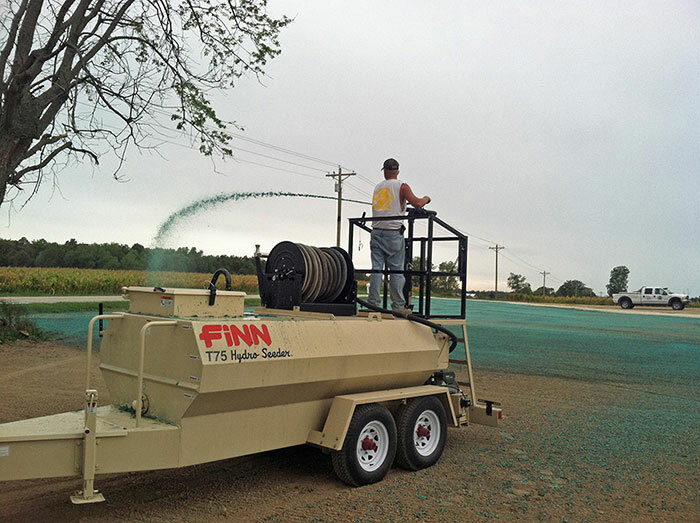 The end result of Hydroseeding is comparable to Sod Grass but a fraction of the price. Fescue, Kentucky Blue Grass, Rye... which one best suits your needs? Click Here for an explanation of each type of grass seed and mix we offer. If you are in need of an immediate lawn appearance, visit our Long Island Sod Services. We also supply and apply mulch to our customers. Whether you are in need of Red Mulch, Black Mulch or Natural Wood Mulch, we sell and deliver it. We are a full service landscaping company that has no limits. Whether you are in need of a small or large project or a complete Landscaping Makeover, we will ensure you an end result that will make you proud of your improvement project.